At Stark Lane, we specialize in the recruitment and placement of the leaders who make quality healthcare possible. When you choose to become a team member at Stark Lane, you are starting a long-term adventure where each day is different and the career possibilities are endless. Our employees are free to pursue multiple growth paths and work in a culture conducive to personal and professional growth. 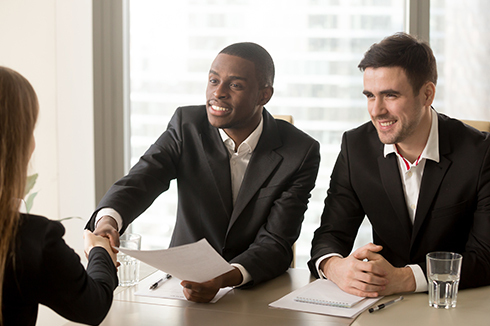 If you are ready for a challenging and rewarding career, connect with the Stark Lane team today! Work harder than everyone around them. We expect hard work and your best work but you won’t find micromanagement. Everyone is treated with respect and trust. We are focused on your goals and individual growth, both professionally and personally. At Stark Lane, we embrace life-long learning and offer a non-traditional path for career-long growth and professional development, beginning with extensive on the job training and certification. With the guidance of seasoned, industry-leading leadership, the sky is the limit. Benefits of joining our team extend well beyond aggressive financial compensation. We offer a generous benefits package including medical and dental insurance, 401K matching, profit sharing, paid time off, holiday vacation, and more! You will get to work closely with high-performing industry leaders in the recruiting/staffing industry, making a positive impact every day by empowering professionals and organizations alike. We are searching for people who emulate our values and embrace life-long learning and development. If you’re a driven professional with a hunger to make a difference, explore how Stark Lane can fuel your success. We warmly invite you to submit a profile for consideration of confidential and future opportunities relevant to your experience.